If you have any questions about the IMPULSIVE information page below please contact us. This motor yacht IMPULSIVE is a 35 metre 116 (foot) good sized composite vessel which was made by Brodrene Aa (Norship) and concieved by Frank Mulder. Accommodating 8 passengers and 5 professional crew, motor yacht IMPULSIVE was previously called Vw2; Victoria Won 2. The graceful boat was created from naval architects Frank Mulder. Paola D Smith / Karen Lyin Interiors (Refit) was involved in her interior design brief. Frank Mulder was the naval architect firm involved in the professional superyacht plans for IMPULSIVE. Her interior design was completed by Paola D Smith / Karen Lyin Interiors (Refit). Frank Mulder is also associated with the yacht general design work for this boat. In 1995 she was formally launched with accolade in Hyen and post sea trials and finishing touches was thereafter delivered to the owner. Brodrene Aa (Norship) completed their new build motor yacht in Norway. A reasonable proportion is brought about with a total beam (width) of 7.16 metres / 23.5 ft. With a 1.68m (5.5ft) draught (maximum depth) she is reasonably shallow. The material composite was used in the building of the hull of the motor yacht. Her superstructure over the hull is built with the use of composite. In 2008 extra refit work and updating was additionally finished. Installed with two MTU diesel engines, IMPULSIVE can attain a high speed of 32 knots. Her propulsion units are twin screw propellers. She also has an economical range of 2800 miles when motoring at her cruising speed of 30 knots. Her total HP is 4570 HP and her total Kilowatts are 3363. For stabalisers she was supplied with Naiad. The well sized luxury yacht motor yacht IMPULSIVE can accommodate a total of 8 guests in addition to 5 crew. 35.27 metres / 115.7 feet. The propulsion comes from two 2285 Horse Power or 1681 kW MTU. The Model type is 12V 396 TE94 diesel. Aqua Air is the company that made the AC on this vessel. 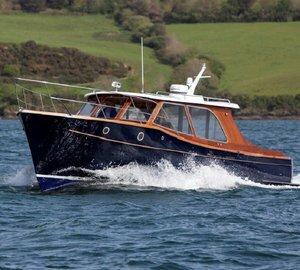 This motor yacht has a grp-teak deck. 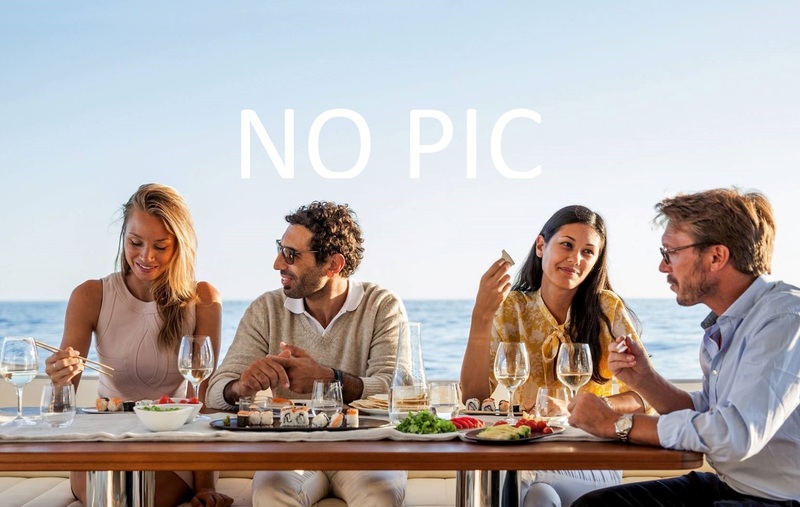 The luxury yacht IMPULSIVE displayed on this page is merely informational and she is not necessarily available for yacht charter or for sale, nor is she represented or marketed in anyway by CharterWorld. This web page and the superyacht information contained herein is not contractual. All yacht specifications and informations are displayed in good faith but CharterWorld does not warrant or assume any legal liability or responsibility for the current accuracy, completeness, validity, or usefulness of any superyacht information and/or images displayed. All boat information is subject to change without prior notice and may not be current.